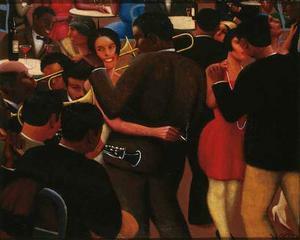 The Whitney Museum of American Art will present Archibald Motley: Jazz Age Modernist, the first retrospective of this pioneering artist in New York City in more than two decades. The exhibition will be on view from October 2, 2015 through January 17, 2016 in the Hurst Family Galleries. The exhibition is comprised of forty-two painting spanning 1919 to 1963 offering a full-scale survey of Motley’s career and a rare opportunity to see such a large collection of his relatively small surviving body of work.